While sitting in my tent the other morning deciding which Scottish mountain to tackle that day, I came across a couple of passages in Cameron McNeish’s book The Munros which struck me as out of place. What’s strange about this, you might ask? Well, you expect a book to have a timeless quality, particularly one about Scotland’s wild and rugged landscape. The Munros is a large glossy coffee table book with stunning photographs and descriptions of all Scotland’s 284 Munros (mountains over 3000 feet high). The above passage is quoted from the route description of Ben Vane, a mountain in the Arrochar Alps west of Loch Lomond that I was planning on climbing that day. It seemed somehow odd to be reading a timeless book about Scotland’s landscape, only to find its author straying off into countryside issues and outdoor politics. 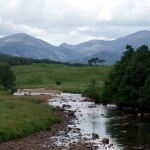 On the description for Ben Vorlich on the very next page, McNeish continued. Anyway, later that day I had an opportunity to reflect on McNeish’s words. He was right – the main track up Ben Vane was indeed badly eroded in places, but as it weaved an easy line between rocky outcrops which would have been difficult to scramble up, I came to appreciate it, even more so when at around 700 metres in altitude I entered the cloud line and visibility was reduced to just a few metres. 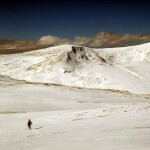 I was able to follow it without difficulty all the way to the summit, without needing to resort to map, compass or GPS. Coming back down the other side was a different story. I intended to continue in a horseshoe up and over two more Munros, Beinn Ime and Beinn Narnain, before dropping back down to the glen. Beyond Ben Vane’s summit the path vanished altogether, or if there was one I couldn’t see it in the gloom. I needed to drop around 400 metres into a hanging valley before climbing back up again to a bealach (col) beneath Beinn Ime’s summit. But the slopes of tufted grass were boggy and featureless, and the valley was too far below me to see in the thick mist. These are the moments in the British hills when I wonder whether there isn’t a better way of doing things. I was tired after crossing Ben Vane’s summit without stopping to rest in the cold mist, the slopes were waterlogged and slippery and I had my GPS out to give me a line to the bealach, but I had to guess the route down with few features in the landscape around to assist me with navigating. Eventually I had to stop and rest to get my breath back, and get some much needed food, water and energy inside me. I slumped against a rock which was relatively sheltered from the wind. I was shivering uncontrollably and my hands were so cold that I had to rip into the packaging of my sandwiches with my teeth. But I wasn’t worried – I’ve been in this situation a few times before, and they’re conditions I’ve got used to on Scottish mountains – though I did think to myself that this would be so much easier with a clear path to follow. I put on an extra fleece beneath my windproof jacket, and soon warmed up when I started moving again. The clouds began to clear, and I was able to look back up at Ben Vane and down through the green folds of Glen Coiregrogain to Loch Lomond in the distance, and I realised that because I was “off piste”, I had the whole of these hillsides to myself, always a feeling of great tranquillity. On the other hand, after nearly three hours of tramping down and up rough hillsides I did give a little silent cheer when I picked up a path again just below the summit of Beinn Ime. At the top I met my first walkers for three hours, and I was back on the main trail again. 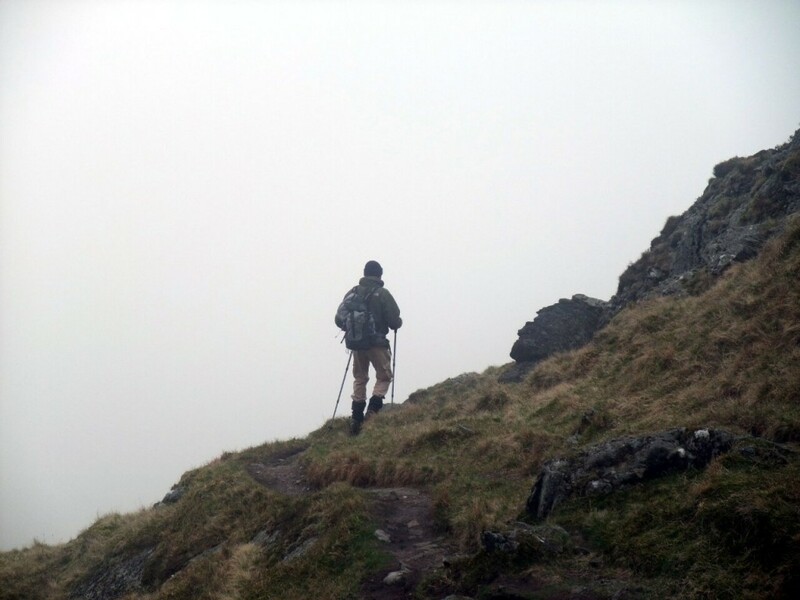 The following day on Ben Vorlich was a typical Munro baggers day. The weather was poor and I knew there was going to be no chance of a view, but I’d come all the way up from London and was damned if I was going to let a spot of bad weather stop me getting into the hills. The start of the track up Ben Vorlich from the Loch Sloy dam is difficult to find, but once on it the path is clear enough. Once again I headed into the clouds early on, but I was able to follow the path easily to the summit without needing to get map or GPS out. On the way back down as I stopped for a sandwich beneath the cloud line, I could see a young couple scrambling across rough boggy hillsides far beneath me. I could see they were not far from the path but heading in the wrong direction. Luckily they looked up and saw me signalling, and I was able to direct them back over to it. When I caught up with them they told me they’d not been able to find the start of the path, and had in fact been scrambling across rough terrain all the way up. Had I not seen them – and more importantly, had they not seen me – they might have continued pathless all the way up. 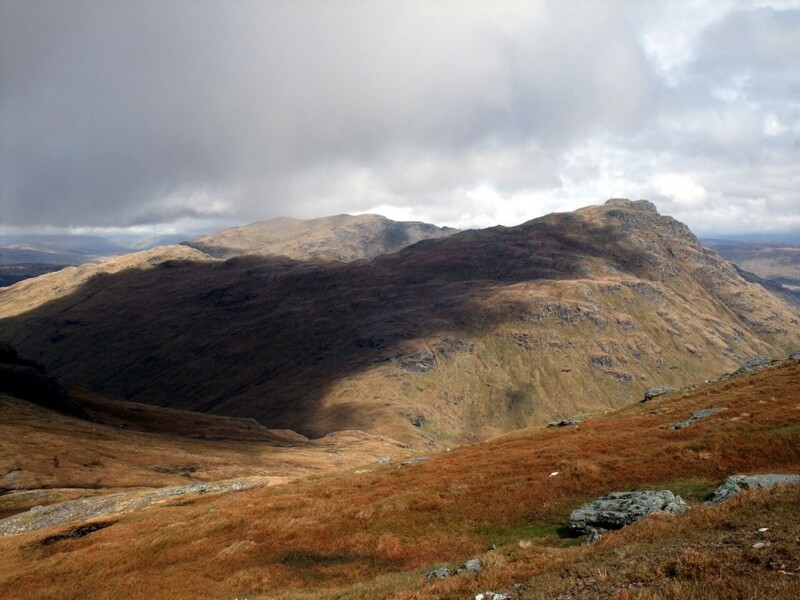 Once they ascended into the thick clouds it would have made their situation potentially dangerous, not only due to the risk of getting lost, but because the western side of Ben Vorlich is quite steep, with many crags a tired walker might end up falling over. Back down on the road to Loch Sloy dam I completed my good deed for the day by erecting a small cairn by the start of the path, so that anyone coming this way tomorrow won’t start their climb lost. It had been a short day, and as I spent part of the remainder of it at Ben Arthur’s Bothy, the pub in Arrochar beside the waters of Loch Long, I had a little more time to reflect on Cameron McNeish’s theory of footpaths. There is much of what he says which makes sense. Commonly used footpaths do get badly eroded, and there’s something deeply satisfying about the solitude of forging your own way up an unbeaten hillside. On the other hand, clear footpaths are so much more relaxing to walk along. It’s that much more enjoyable on easy terrain where you don’t have to watch where you’re putting your feet every step of the way. More importantly, in poor weather they can be lifesavers. Hill walkers here in the UK tend to be good navigators, because we get out into the hills come rain or shine, and good skills with map, compass and GPS are essential. But these are skills which take time to learn, and learning is only done through experience which involves making mistakes along the way. Clear footpaths make hills accessible to more people, and although I like to have the hills to myself from time to time, that has to be a good thing. Sorry, Cameron, but I’m going to agree with the Scottish Rights of Way Society on this one. ← Is this the finest view in the Himalayas? There is a right of access to Scottish land making this suggestion irrelevant, although the suggestion carries a danger of setting a restrictive precedent. As for your article your logic would seem to suggest support for the construction of marked routes up all hills. Get real, if you enjoy getting out in wild country then you should value outdoor skills such as navigation and self reliance and most importantly the wilderness. 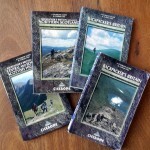 A good starting point would be WITHOUT a GPS so you actually learn to use a map and read terrain. Part of the allure of the hills is that there is a risk that needs to be mitigated against, not by following marked routes, but by using ones skill and knowledge in wild unspoilt country. In fact I’m extolling the virtues of both sides: walking on clear paths and leaving the path to walk across wild land. I’m certainly not suggesting there should be marked routes up all hills, just on the more popular which are likely to attract less experienced walkers. I’m not sure where you get the idea that I don’t value outdoor skills such as navigation and self reliance. 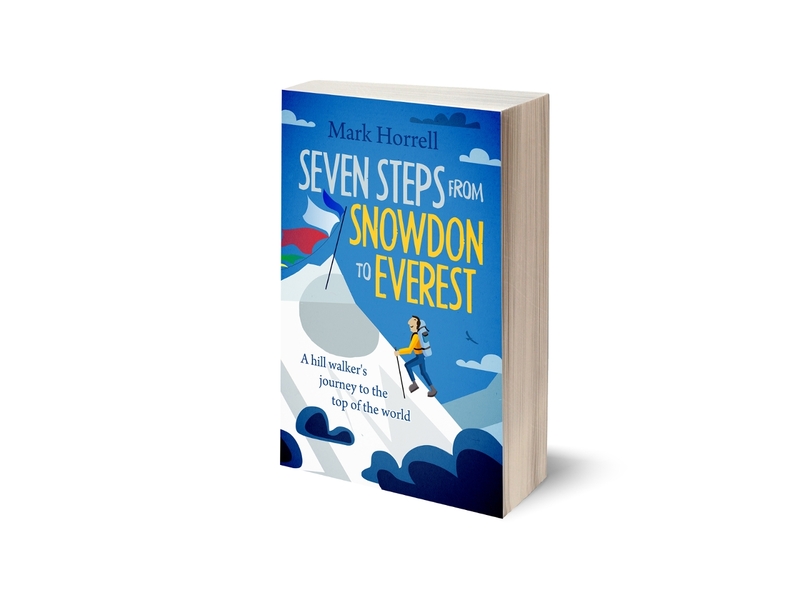 I agree with you that it’s worthwhile for all hill walkers to learn map and compass skills – it’s how I started. I don’t have a problem with using a GPS though to provide additonal information. In fact, I’d always recommend it in the UK where poor visibility is common. But thank you for your comment. Your view is certainly valid, if a little bluntly put! I’ve read this post with interest, especially because I had the exact same problems on the very mountains you mentioned. In fact, Ben Vorlich, after many elusive years, is still to be climbed (I’m also based in London). I was up on Beinn Ime with a friend in very poor conditions and had the weather not lifted when it did we would have certainly walked off into our deaths on the way down. Fortunately, this way we were able to see the path and find our way back to it. I appreciate the points you make and the reasons to make the mountains safer, but I’m with McNeish on this one with a tiny n.b. On Ben Nevis by the Lochan there are cairns at certain distances that help in poor visibility should you not wish to go back down the tourist path but across to the valley of Allt a Mhuillin. Perhaps something like this, less obtrusive than signposting would be ideal to keep both sides happy. 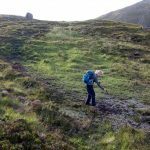 I learnt map reading and compass skills the hard way and am no great mountaineer but want to keep the wild areas just as they are. Wild. Sorry for the delay in replying – I’ve been off mountaineering for the last couple of months with only limited access to my blog. Yes, you’re right, cairns are a good idea with only limited impact on the environment, but they would certainly help with navigation when the mist isn’t too thick to see them. I guess this is one of those issues which attracts strong emotions!